A pre/sequel is always different from the first game, so what changes would you want to FFXIII-2? Everything I seem to want is coming; a darker story, hopefully more interesting characters, and a more in-depth look at the mythos of FFXIII. Add some "townz" to make the world a little less lonely, take away the Auto-Battle feature to add more strategy to the battle, implement a "less linear" character development system, and add full control over all characters in battle. The Retry option needs to be scraped too, Game Over means Game Over. While I don't really care for it, I wish for the game to be less linear. So the fanboys can finally stop crying over corridors, and start crying about how they are getting lost. So the fanboys can finally stop crying over corridors, and start crying about how they are getting lost. I love you for saying that. Anyway, more sidequests and post-game content would be nice. Aside from trophy collecting and hunting, there isn't really much to do outside of Final Fantasy XIII except grind mindlessly for money. A better translation. 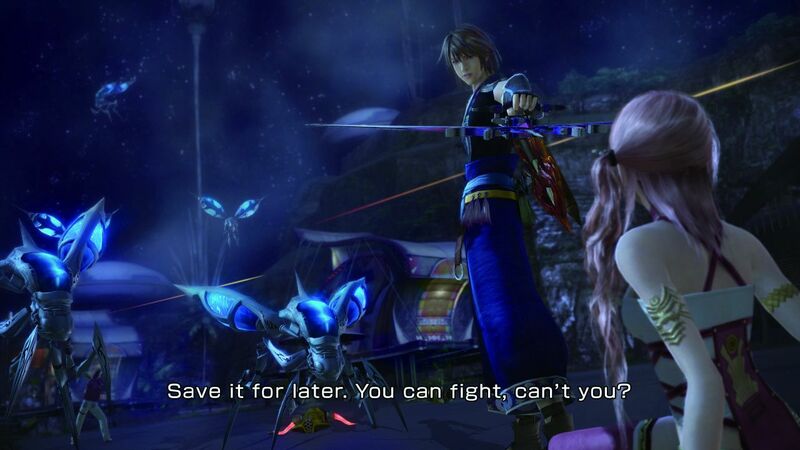 My biggest problem with FFXIII was that the dialogue was so cheesy, especially compared to how good FFXII's was. I really had no problems with it. But I guess, I'd like it to be longer, and even though the 64 Hunts were fun, more Sidequests too for me. Make the game a little more open. The linearity in Final Fantasy XIII didn't bother me that much, but it sort of annoyed me of how you couldn't revisit about 75% of the game's areas. I understand how it's all to make the story move forward and I doubt we'll be able to visit those unvisitable areas from XIII in this game, but I hope they try not to do the same thing again. More mini-games and sidequests would also be nice too. I hope XIII-2 doesn't treat the NPCs poorly. My main pet peeve with XIII was how the NPCs of the game were non-existent, and over half barely impacted the game's story in a significant way. Also make it so NPCs talk to YOU instead of just walking in on one of their random conversations. I would say to add more sidequests. The hunting and upgrading in XIII was a nice touch, but there wasn't enough variety to it and it all eventually got too tedious. I'm not going to deny that I wish there were some sort of mini-games in XIII, but it was here that I doubted they had time to play around while the entire world was hunting them down and their L'Cie marks were ticking down to their doom. But now it shouldn't be a problem. 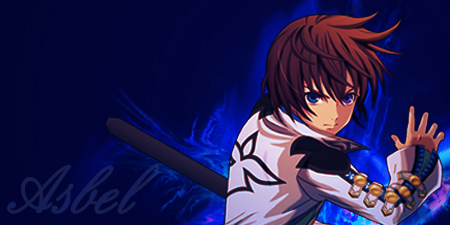 Apart from that I can only come up with a few minor changes that would make the system of FFXIII even better. 1) More freedom in the Crystarium Grid. Like FFX or FFXII give us a huge board and let us decide which way we go. 2) More customisability of your party, in other words if we can't control them they should at least bring back some kind of gambit system. 3) An actual 'big' mini game. I don't really mind what, but as long as it is as big and 'important' as Triple Triad, Tetra Master or Blitzball I'm happy. I didnt use medics till i broke 1k hp really. Doctors code with potions. All i require is more post game content and i'm happy even if its linear again. Ah yes, in FFXIII, Potions with D.C. are useful all the way till late Ch10-ish. By the time you're at Gran Pulse, you're medics have got Curasa to keep up the healing, so that's never too much of an issue. But I swear I use 70+ potions in Chapter 9 alone. Do you find yourself using many phoenix downs? 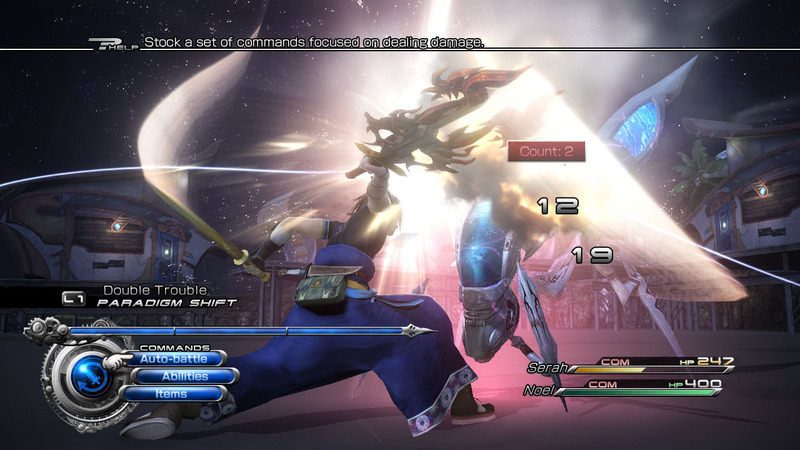 Some Screenshots for FFXIII-2 have been revealed.